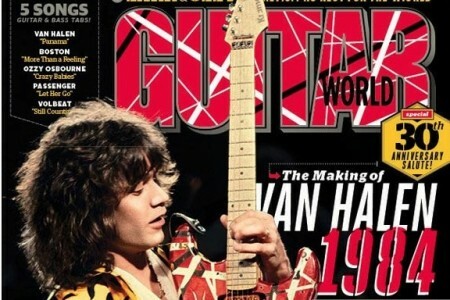 In the new issue (February 2014) of Guitar World magazine, they rewind 30 years to the making of Van Halen’s masterpiece; 1984. Eddie Van Halen details how how he built his own home studio and took control of his group’s musical direction. The result was 1984, the groundbreaking album that established Van Halen as chart-topping superstars.